Spurflowers (Plectranthus spp. ): growing, planting, caring. Some species are grown as ornamental plants, some as leaf vegetables, others as root vegetables for their edible tubers, or as medicine. Most are cold-sensitive and should be kept as houseplants in temperate climates. Scientific name : Plectranthus spp. Full description for Plectranthus spp. not yet available. 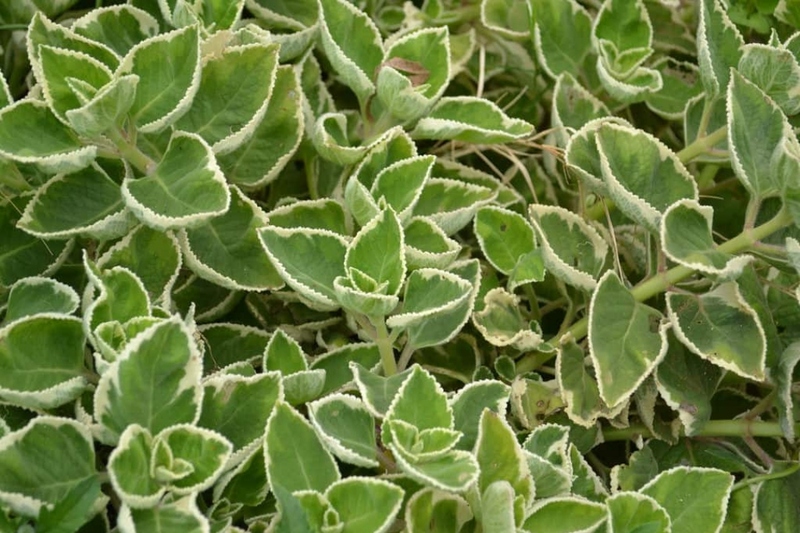 Plectranthus exists in many cultivars which are interesting by the color of their foliage that can be red, purple, yellow or green, and has very varied shapes. It has opposite leaves, evergreen, downy, on quadrangular stems, erect, branched. After the purchase, transplant your plectranthus into a pot full of potting soil because it likes rich soils. If you decide to put it outside, find a rich, cool location sheltered from the scorching sun. Add compost to your massif. In pots, keep your plectranthus permanently in a slightly damp soil, without soaking it. Avoid wetting foliage, this promotes disease. At the end of the winter, each year, repot your plectranthus by giving it a slightly larger pot and adding potting soil. Plectranthus multiplies very well by cuttings in summer or spring. Collect stem extremities on which you should preserve only two leaves. Place it in potting soil that you will keep moist. In the summer, indoors, shelter your plectranthus from direct sunlight. Conversely, in winter, put it in full light.